Newly renovated modern Beach house 1 street from waterfront, 2mins walk to algies bay with all the comforts of home. decks at the front and back catching sun all day, great indoor outdoor flow with consevatory and BBQ area on front deck. 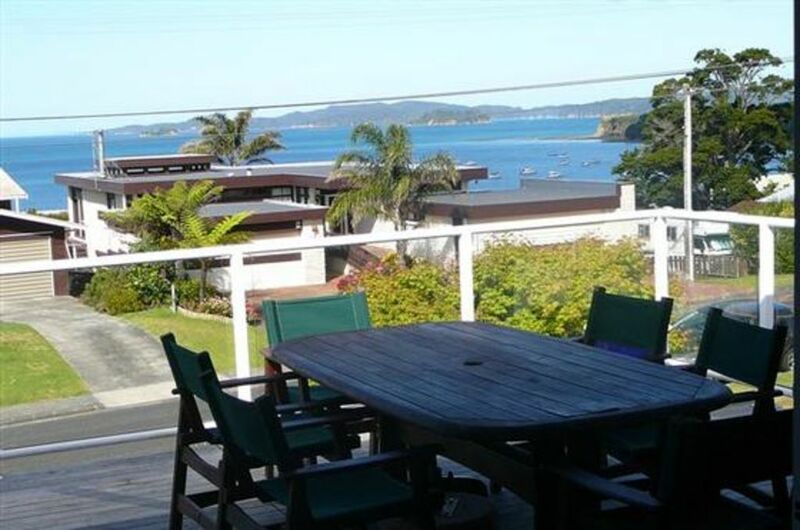 Spectacular views of Sandspit and Kawau Island. Great beaches and lovely walks. 10 mins to Warkworth and craft markets, cinema,shops and local produced food farmers markets in Matakana. Suitable for groups or families. Great views, modern, open plan, warm in winter and great airflow in the summer. Decks back and front so get all day sun. We love this property as it works well for two families. Our only grumble would be the house was filthy which needed a good clean before unpacking. Linen is old and very musty, as are the curtains. Fridge was not cleaned or the bottom bathroom basin. The BBQ gas tank was also empty which we needed to refill. We will definitely return but it would be lovely to have it cleaned beforehand. We have used this house many times. We have used this house many times. It's a good quality home with good specs and the location can't be beaten. Was an absolutely amazing stay, but was a little dusty / cobwebs and limited toilet paper. Was an absolutely amazing stay, but was a little dusty / cobwebs and limited toilet paper. But all in all absolutely loved it, these things are to be expected since it is a batch. Great location, fantastic sea view, easy assess to boat ramp which is only about 300 meters. Great location, fantastic sea view, easy assess to boat ramp which is only about 300 meters. All needed facilities in house. Great stay.